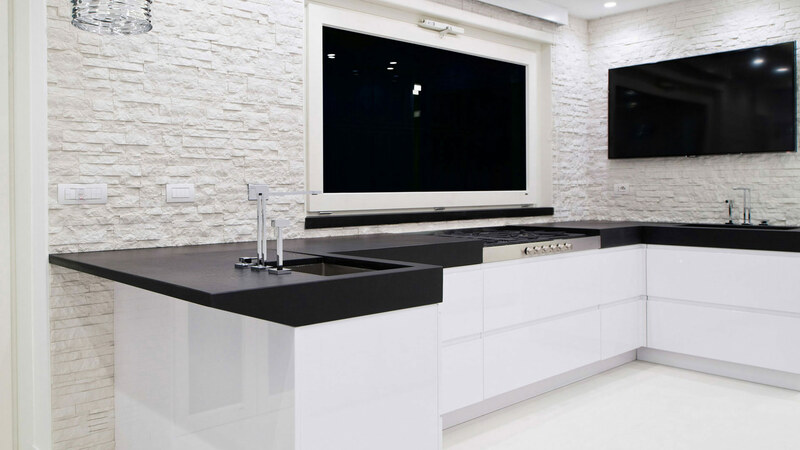 Kitchen with peninsula and quartz top characterised by clean cuts, defined lines. 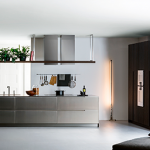 Here is an intensely clean and minimalist design, characterising an ultra-modern composition. 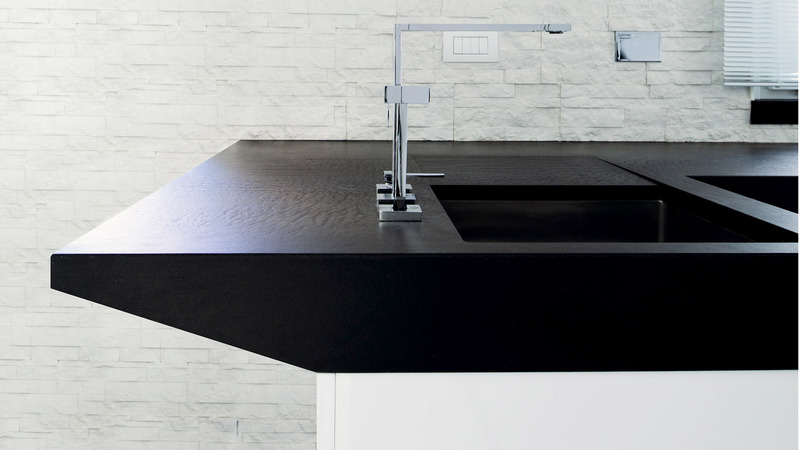 The top is in black quartz, a very resilient and waterproof material that provides for an elegant environment as well as for a functional kitchen.